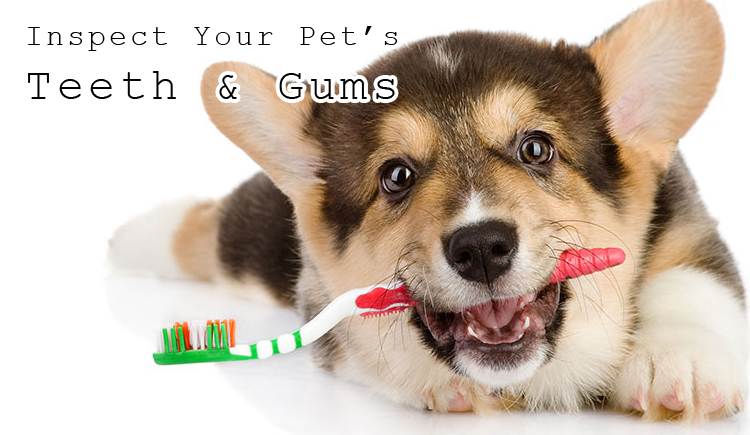 Going to a vet every time you need to examine your pet’s teeth and gums does not seem feasible. Isn’t it? However it is important to carry out the oral checkup of your pets to stay on the same page with your pet’s health. Therefore it is recommended to do the honors right at home and all by yourself. Step guide to dental inspection of pets – Do it right! Choose a well lit area to carry out the oral examination. Look for swellings on your pet’s face: Now we want to give it a good start which includes the base, right? So start by having a good look around the canine’s mouth for any unusual swellings. Keep the location in mind if there is any. Give a sniff to detect bad mouth odor: Bad odor can be one of the symptoms of underlying dental or gastrointestinal issues. Therefore if your pet’s mouth odor is stronger than usual, you may need to pay a visit to your vet. From step 1, check the area where you noticed the swelling. If you think it cannot be handled by you then contact your vet immediately. Inspect the similar things by pulling lips on the side of his mouth and check the side teeth and gums. Time for an appointment, its conditional: You need to act if you notice any of the above symptoms. If you observe any of the signs mentioned above then it’s time to take your vet’s appointment and get a detailed examination. It was easy, wasn’t it? Make sure you follow this step guide of How to Inspect Your Pet’s Teeth Gums at least once a week to keep dental diseases at bay. Use of toothpaste formulated for dogs is recommended to fight the danger of tartar and plaque.